TIMMONS NY has been graciously donated to the BuyFontsSaveLives campaign by designer Matt Willey in honour of his father Nick who was taken by cancer in 2011. This narrow and muscular headline font, designed by Matt with assistance from A2-Type’s Henrik Kubel, was originally conceived for a Jazz FM booklet created by Willey in 2012. 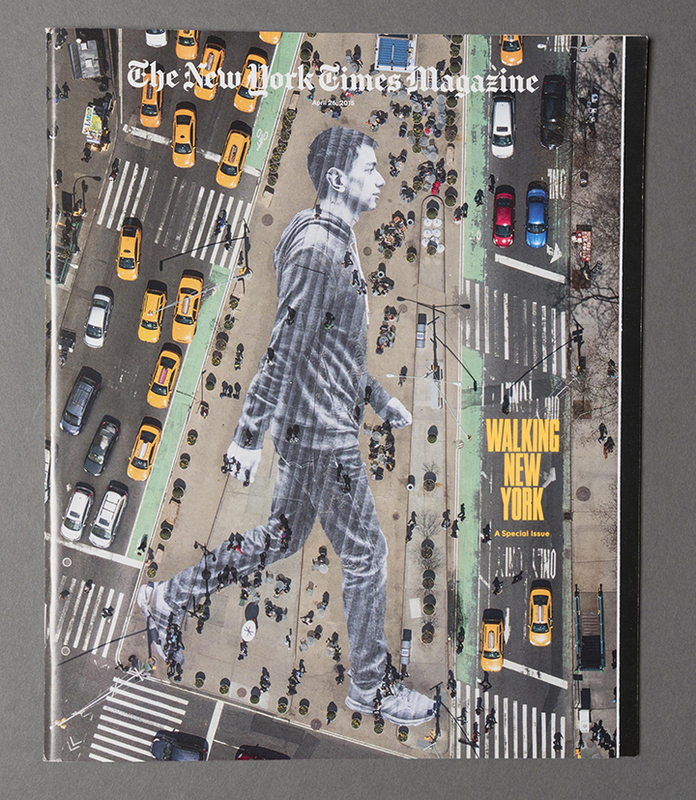 Currently working at the New York Times, Willey decided to refresh the typeface and deploy it as the principal headline face in the NYT magazine special edition, ‘Walking New York’, which was published in April 2015 (see spreads below and read more about this special issue here). 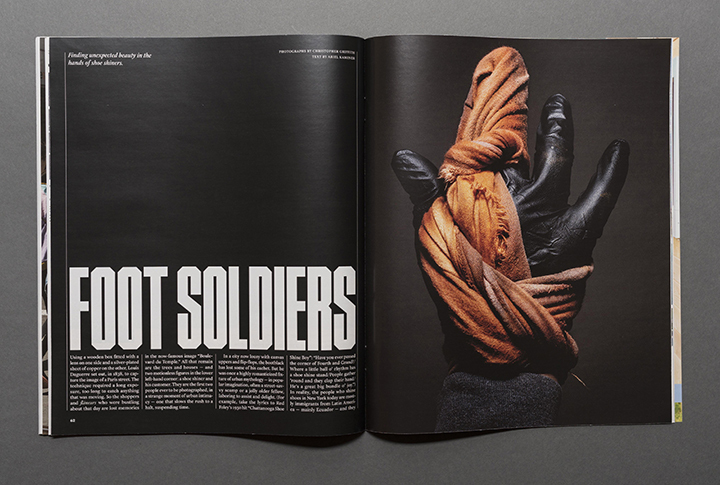 The font’s robust, angular letterforms made a huge impact on the stark black and white layouts. TIMMONS NY is a bold, compressed, caps-only headline font in one weight with multiple glyph alternates. Buy this rugged font in OpenType OTF format and all proceeds will go directly to Cancer Research and Macmillan Cancer Support charities. Images courtesy of New York Times / Matt Willey. Download a free PDF type specimen to view the TIMMONS NY character set. Click the purchase button below to buy the font for immediate download. Please note that if you require a licence for more than 5 desktop users/devices, or if you’d like to arrange an embedding licence (apps, eBooks etc) please email us for a quote. © 2011 - 2019 Typespec Ltd. All rights reserved.